From stars in the sky to stars on canvas, this unit study will give you dozens of ideas, resources, hints and tricks to create starry-themed activities for both homeschool families and classrooms. Learn about Vincent Van Gogh's Starry Starry Night painting technique. 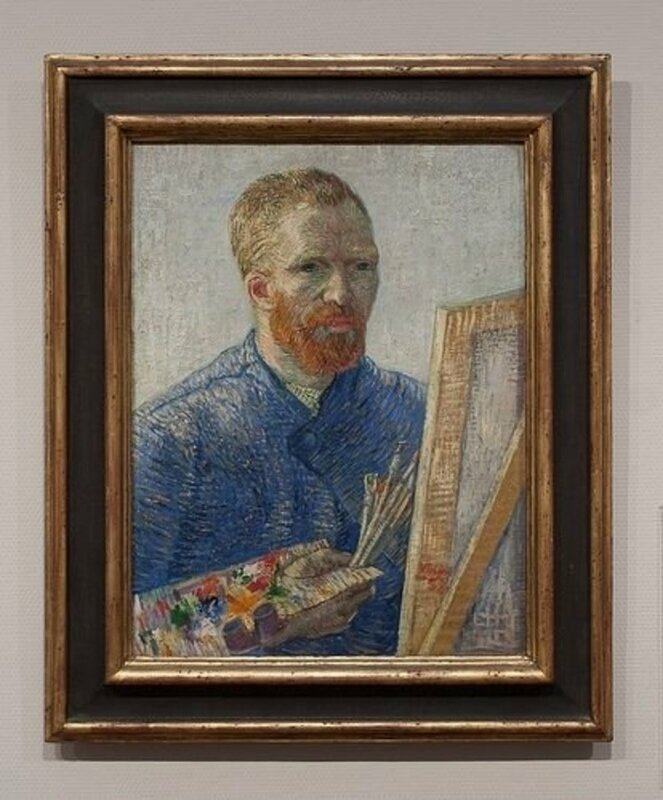 Listen to Don McClean's tribute to Van Gogh. Sing Twinkle Twinkle Little Star and other sky related songs. Vincent Van Gogh looked up at the sky and imagined it the way a slow exposure camera does with long swirling streaks of light. Go outside on a dark summer night. 1. Look at Van Gogh's painting of Starry Night and describe what you see in the painting and how it makes you feel. Do the stars in Van Gogh's sky have five points? How would you draw stars? 2. Look at the swirls showing the wind. Notice how the short circular brush strokes and all the different shades of blue give the feeling of the wind blowing. 3. Using large black or dark blue construction paper and pastels take turns drawing the blue, white and yellow circular strokes of the wind. 4. Now focus on the buildings. What shapes do you see? Notice that the windows are left blank instead of outlined. 5. Let the children make their own Starry Starry Night drawings. NOTE: Hairspray works as an inexpensive fixative. 6. Share the drawings and ask the children to explain how they used Van Gogh's techniques. Write their responses on chart paper. 7. WRITING WORKSHOP: Talk about what could be happening in their drawings. 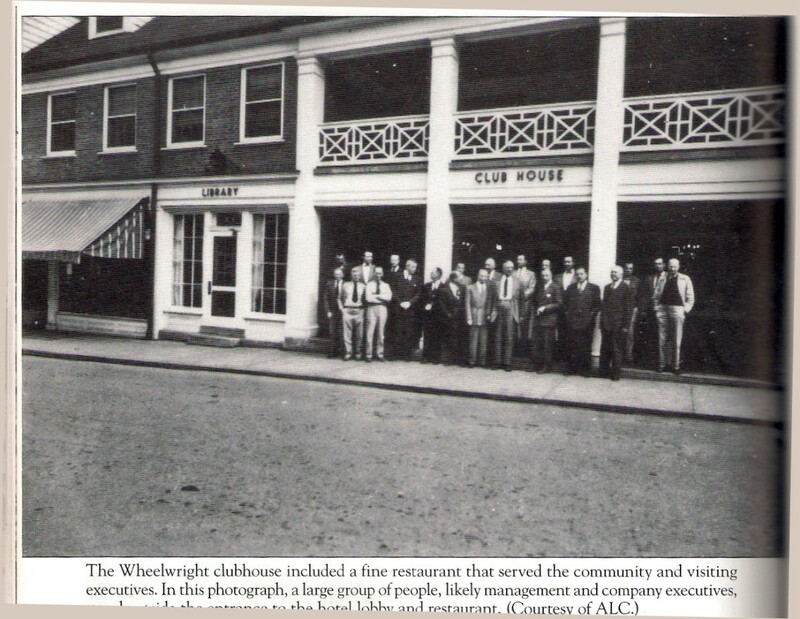 Who are the people in the houses? What are they doing? What animals would be awake at that time of night? What might they be doing? 11. Make a list of words the children might need for writing on the board. Allow the children to write about their drawings, helping by adding words to the board as needed. Children at the San Jose Library in California learned how to create a painting in the style of Vincent Van Gogh's Starry Starry Night. This photo was the inspiration for this unit study. Each group of children I have introduced this activity to has thoroughly enjoyed it and been proud of making their own version of a Starry Starry Night. The Starry Night, Vincent van Gogh's most recognizable work, has been replicated and interpreted countless. These are a few of the parodies. 12. 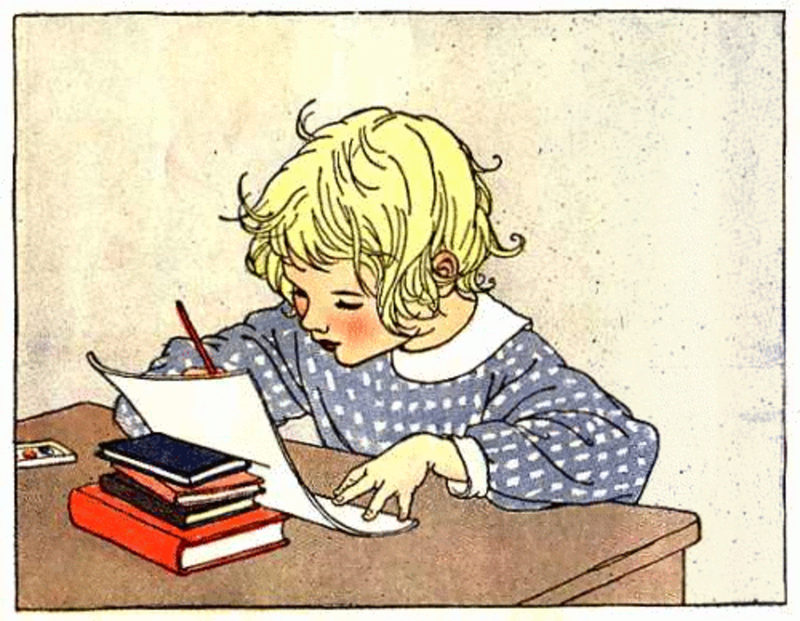 Allow the children to share their writing, rewrite, add to their Starry Starry Night stories. Edit them and finally publish their star themed stories with their drawings. By allowing these books to be borrowed from your classroom library, children may share their stories with parents and families. 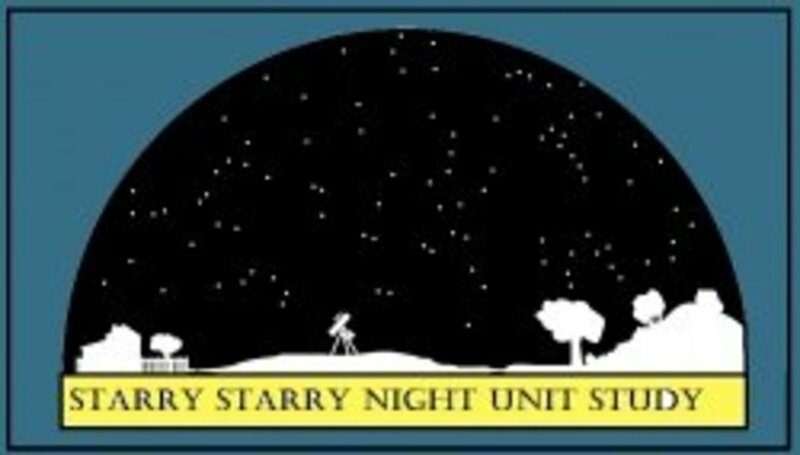 The Starry Starry Night books can then go home at the end of the year. Vincent Van Gogh - Speed Drawing Video - Make your own class book. Set this video up in your classroom theater. Put some drawing paper and pencils in the art center. Put a three ring notebook with page protectors in the writing center. Set up the computer center for writing and editing stories about their drawings. After watching the video, children draw a picture, write about it, and then put the picture with their writing in page protectors in the three ring notebook. This notebook is then added to the classroom library to be read during silent reading or to the whole class. Van Gogh's painting of Starry Starry Night inspires experimentation not only in art but also in writing. Read lots of books about the night sky in fiction as well as non-fiction and then suggest that the children write their own Starry Starry Night story. Be sure to have the children illustrate their stories and publish them so that they can be put in the classroom library for all to read. The following are some of my children's favorite books about starry nights. Museum Art: Bring along a sketchbook and pencil for each child. As you find paintings with stars look at the number of points. Look at the colors used to paint each star. Look at the placement of the star or stars in relation to the other objects in the painting. Are the stars the focus of the painting or the background. Sketch some of the stars that you find. Starry Museum Math: On the back of the paper, keep a tally of the number of stars you found. Talk about the number of paintings in the room with stars verses the number of paintings without stars and express that as a ratio. For a recent trip to the Metropolitan Museum of Art in New York City, I prepared my kids well... and once we got there, luck took over. 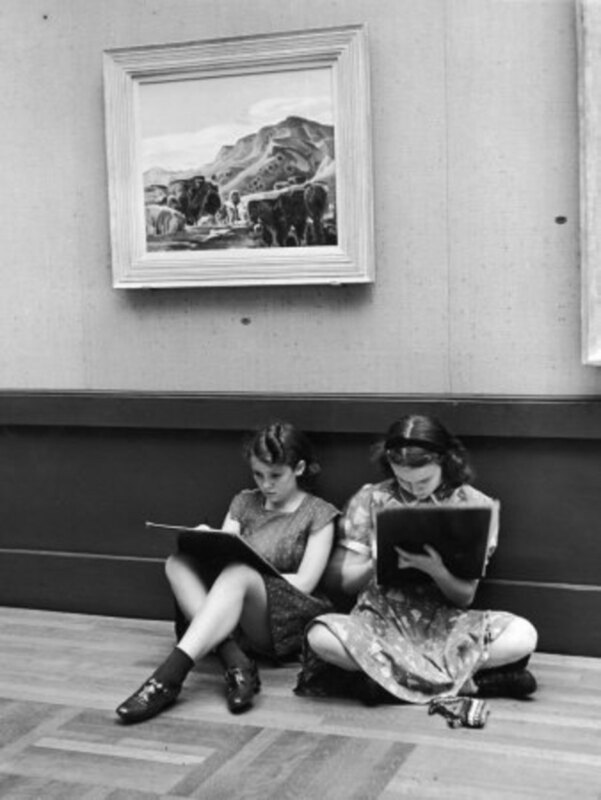 Here are some great tips for getting kids excited about visiting an art museum. Don McLean's song Vincent starts out with the words, "Starry, Starry Night". with pictures by Vincent Van Gogh. Show the children pictures of Vincent Van Gogh's paintings while listening to the song. Can you find stars in both Van Gogh's paintings as well as in the music? With the children, create a poster with the words to Don McLean's song accompanied by paintings by Vincent Van Gogh. Laminate the poster and sing the song often to help children learn to read the words and get a better sense of appreciation for paintings such a Starry Starry Night. Extension: Have the children draw stars with dry erase markers over the star words in the song. You might use these to make a chart for shared reading as well as a book and tape for the listening center. This would also make a great Power Point Presentation to be shown in your classroom Theater. The vocabulary seems very high for K-1 but I have found that when exposed to high level vocabulary in a fun and interesting setting children will listen to it repeatedly until meaning comes to them. Cover the bulletin board with black paper or paint a wall with Black Chalkboard Paint. Then take pictures of your children, cut out their faces, attach them to large Gold Foil Paper stars and post them on the bulletin board. Consider posting them in such a way that they can get rearranged often. The teacher says, " I wonder where ________ is?" and hands the star tipped pointer to a child who finds the picture of the mentioned child and points to it. This game is wonderful for helping children get to know each other's names. It can be used as a greeting for Morning Meeting or by changing the children's pictures to their names can be used for beginning reading activities especially when they are learning capital letters in either print or cursive. Which star activity is your favorite? I love the way you use so much more than just the basic book to study this. I'm sure your kids love to have you being the teacher. Great lens and some great ideas! Lots of fun ways to teach about stars and art! Awesome information. My son loves staring at the stars. Partly because it's a way to get me to let him stay up late, but also because he's fascinated by the vastness of the universe. He also loves 'doing real science' through the crowdsourced projects as zooniverse.org. A little bit about all the stars and info well done! You have created a very nice page here. Stars are magical especially when you stand outside at night just stare at them. One of my favorite things to see is a shooting star. 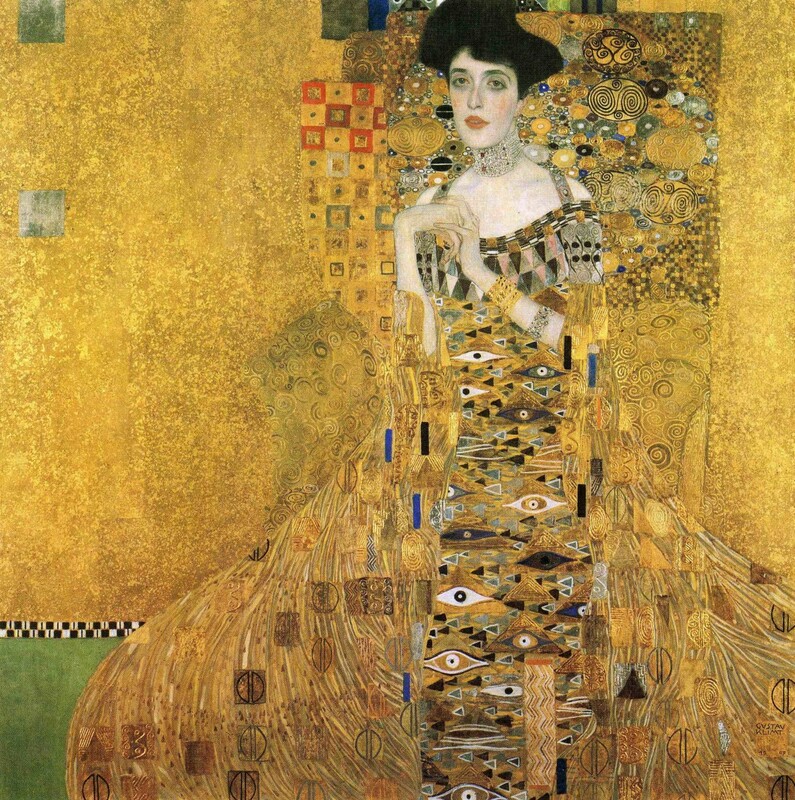 I think using famous paintings in your teaching is so important and love how you explain that here. What a wonderful unit study! I can't wait to try these ideas with my kids. I am pinning this on Pinterest! I can't identify the constellations or stars for the life of me. 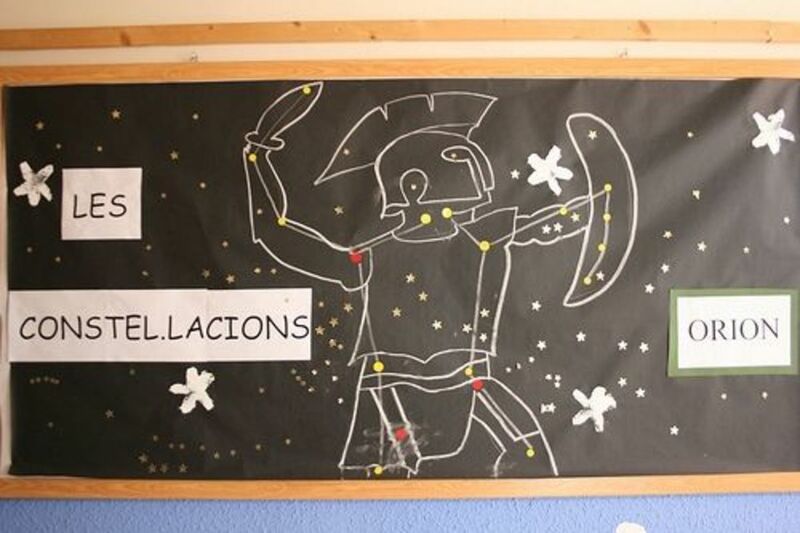 Teaching childrens the constellations is good because some of them can be used like a compass. Another outstanding lens, great work! May the stars always shine bright for you and yours. Happy holidays and many blessings for the new year. interesting approach by drawing, learn science. Have another. Inspired by "great minds'. Doing one on Galileo Galilei . Kids will be amazed and inspired by this great mind of the past ! Great lens. Starry Night is my favorite Van Gogh painting (probably because I love astronomy). Lenses like this are a great way to get more people interested in both the arts and sciences and to show that they are connected and not totally separate disciplines. Keep up the good work. Your lenses are always so exceptional. Even though I'm many decades from being a school age child, I learn a lot. I especially loved this one, using art to teach and inspire. A very wonderful lens indeed you have here. 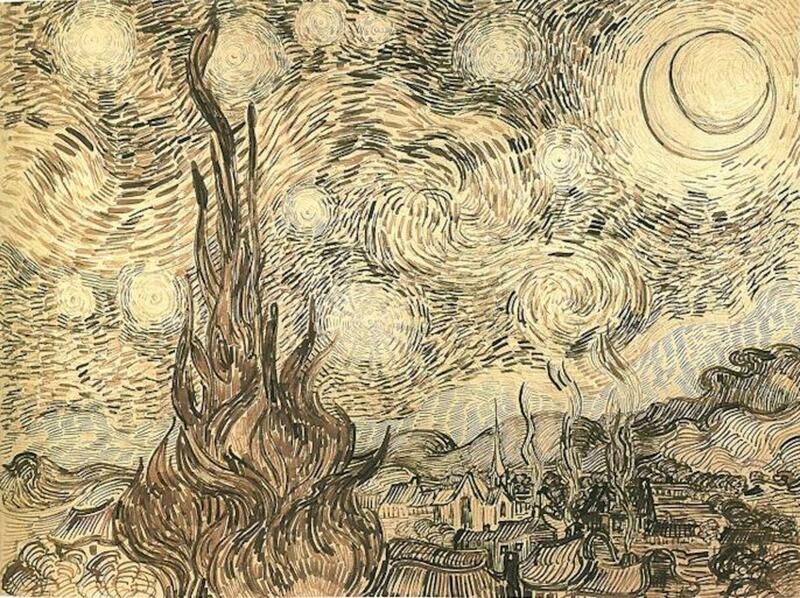 I admire Vincent van Gogh painting particularly Stary Night. I've read that he actually painted that picture while he was in a mental asylum in France. He was able to capture such beauty and tranquility despite his situation. Got a chance to see Starry Night a few years back when it traveled with a Met exhibit to Houston. It was one of my favorites when I was young and lived near NYC. A print of the painting hangs in my office. I guess I need to pick up a matching print of Starry Night Over the Rhone, but haven't done so yet. 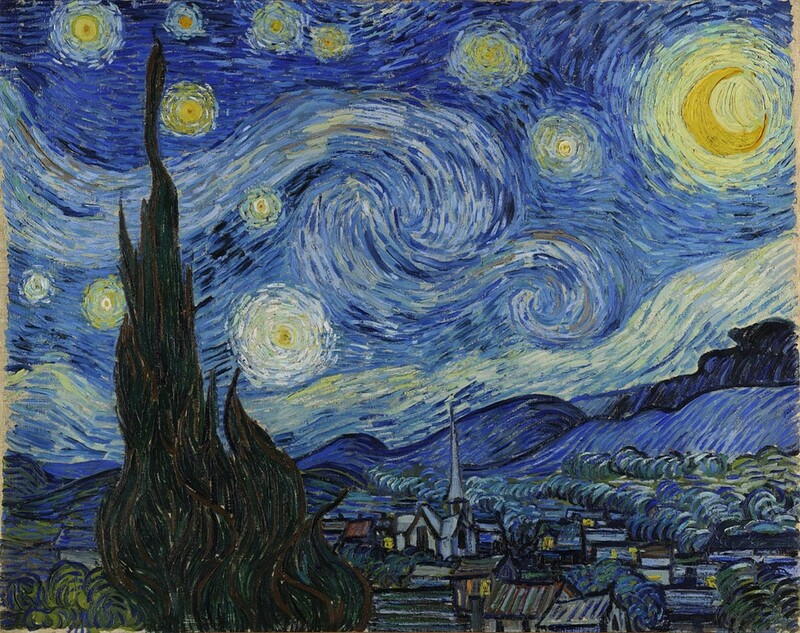 I also enjoy Don McLean's song about Van Gogh, Vincent, often referred to as "Starry Starry Night." Well, thanks for this pleasant way to start off my day! This is pretty interesting! There are so many creative ideas you have shared on this lens. My grandson is just a year and 'sings' Twinkle Twinkle with his mommy and me... course there are no words, but he knows he is singing with us. Teaching kids starts at the moment they are conceived... they can absorb far more than we think. You are an awesome person! Wish I could have had you for a teacher! Another fabulous lens! Orion is a great constellation to teach children. It's very visible, even from most large cities. Of course, it's quite stunning from a very dark countryside location. Good points here! 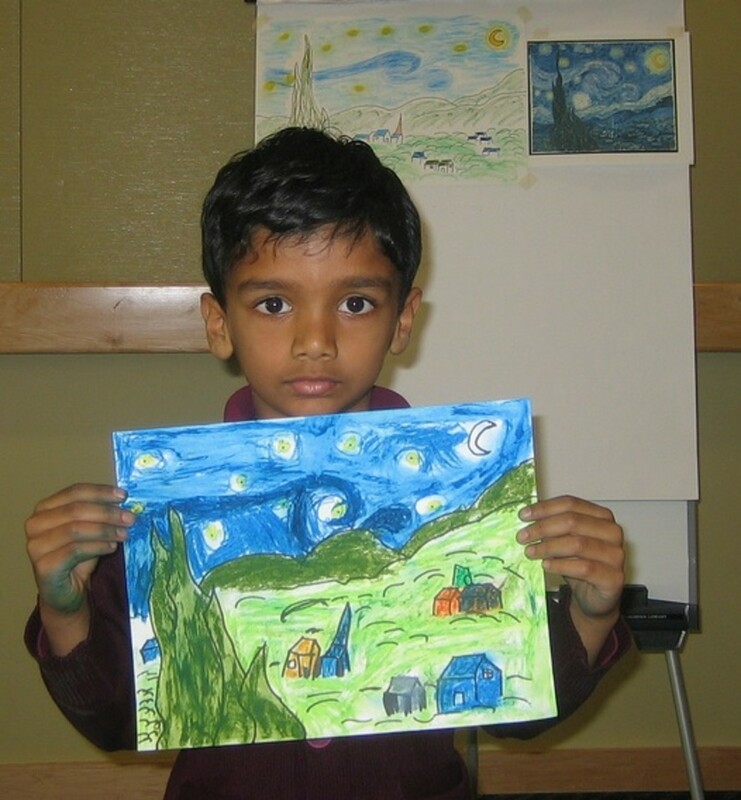 @makingamark: Vincent Van Gogh's work can inspire children to amazing artistic endeavors. 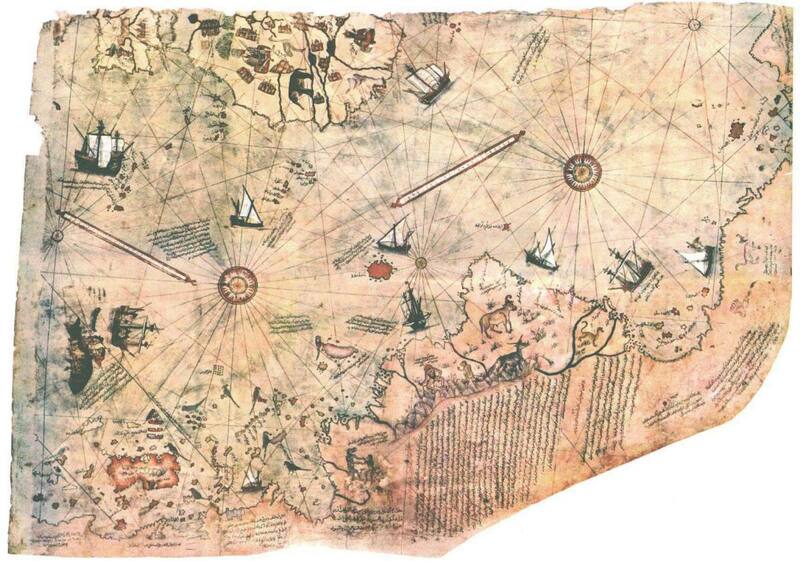 @eclecticeducati1: Thank you so much for your starry links. I am shooting off into the stars to check out your lenses. I love this!!! Two of my favorite subjects- Astronomy and Van Gogh, all mixed in one! :) Blessed by an Angel and I'm lensrolling to both my Van Gogh page and my Astronomy for kids page. Great job! @AlisonMeacham: Thank you for the SquidAngel Blessing. Blessed by a Squid Angel today! Well crafted and enjoyable lens. I love the stars. Something mystical about them. I met you on Twitter. Hope you will visit my new lens about emotional healing. Gary Eby, author and therapist. What a delightful lens. I have featured it on my new page "universe-for-kids"
I never knew there were more verses to Twinkle Twinkle. I think the activities here are great. I do wander if there is something more visual that could be down with the constellations - to aid learning them... By the way - for pictures of the stars, google for NGC2264 - a truly beautiful nebulae. 5* lens. Another great lens. Welcome to the Art &amp; Design group. 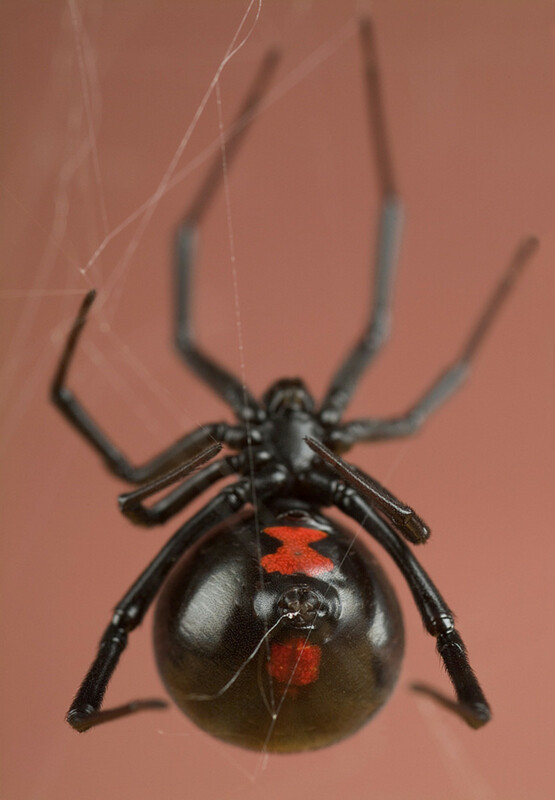 Another great lens, Evelyn! I always enjoy your work; you are a tremendous resource and valued contributor to all of my groups! Welcome to Connie's Craft-a-Holics Club at Squidoo! I love that you incorporated the Arts in your lens about the STARS. 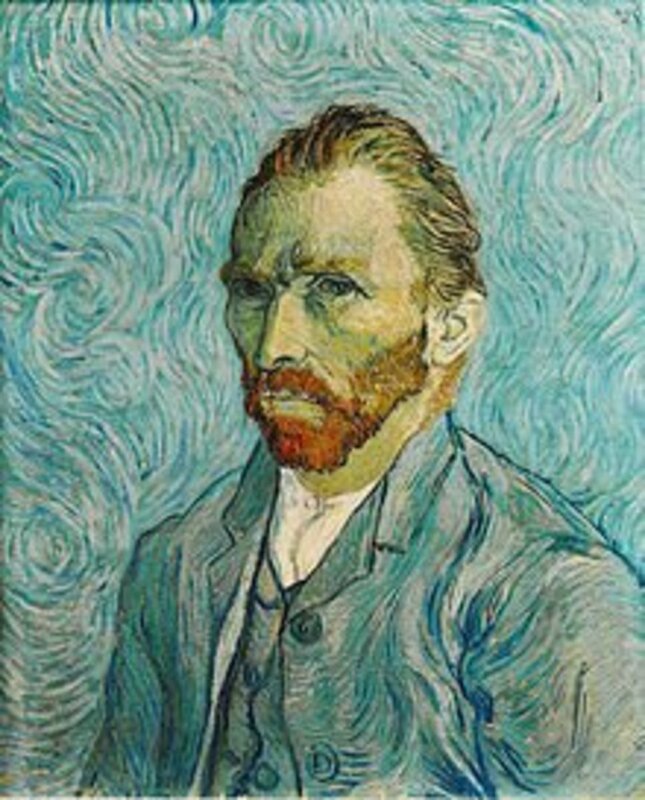 Don McLean's beautiful tribute to Vincent Van Gogh always makes me teary. Your lens is very informative. Staying healthy is very important. I hope you will support movement to promote Healthy Food on college campuses. Love this lens! Stars, star-related projects for kids, art &amp; artists - wonderful! 5 stars! Another wonderful lens...here's another activity for kids! Collecting Used Thematic Postage Stamps! Evelyn, I just love your lenses! You always offer such extensive resources; and fabulous writing! Thanks for providing such great resources for homeschoolers. You are a treasure trove of knowledge! 5 stars &amp; a Big Favorite! I wanna be a kid again and you must be my teacher, Evelyn! Well, dream on, Chef Keem...actually, this old geezer is learning so much from all of your most interesting lenses, and this lens is another masterpiece. 5 twinkles! Wonderful lens! If you need some inspiration check out my lens. Great lens for little astronomers! My grandma would've approved. Speaking of grandma, she had an el cheapo way of painting lunar dioramas for the displays in the hall outside her planetarium that you might find useful. She'd mix laundry detergent and water and paint it on black construction paper. It glowed under black light (those purple lights so popular in the sixties). She'd use fluorescent paints to draw Jupiter and other planets. I loved playing with the soap and paints too, making up my own outer space scenes. The soap tends to be a bit thick, so you wind up with a marvellously textured paint! I still have to have glow-in-the-dark stars on the ceiling of my bedroom, even in my late 30s. The paint is invisible until you turn the lights out. Great educational lens. I wish I had Squidoo earlier during homeschooling. What a great educational tool this can be for EVERYONE! 5*'s and I added to my favorites and lensrolled it! Fantastic! Thanks for checking out my lens. What a great job you've done in creating this lens. A wealth of information, ideas and very inspirational! Hi, Evelyn. Thank you for checking out my lens. I love your lens and you have shared a lot of great information. Will definitely lensroll you to my education lens. I love your lens - you are sharing some really good information! Good Job! Thank you for sending me your Squidcast. Your lenses are always a joy to read. I hope you will support movement to promote Healthy Food on college campuses. Lots of nice ideas. Well done. Thanks for the lyrics of "We Three Kings of Orient Are". English being my second language, I really appreciate this. who knew it was so easy to paint like van gogh! ;) thanks for the clever lens. An unusual lens. I like it!